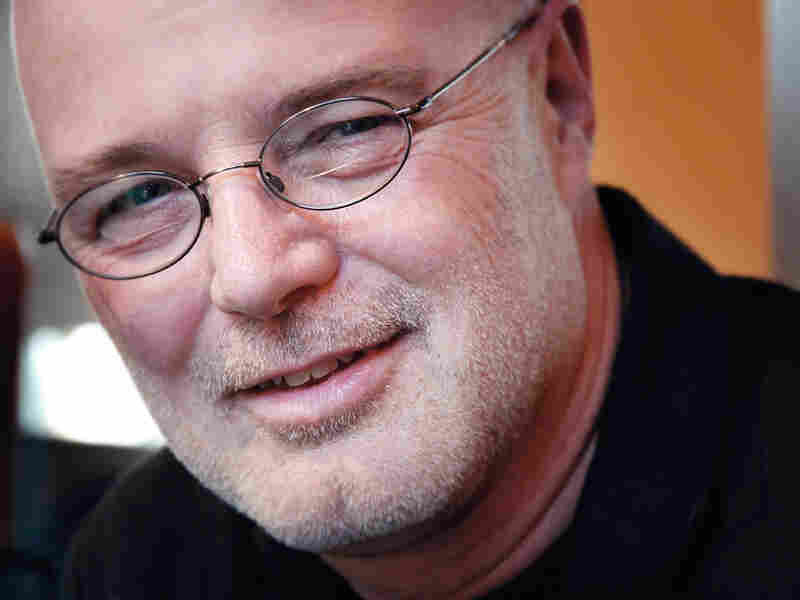 Jesus, Reconsidered: Book Sparks Evangelical Debate Brian McLaren, an influential evangelical leader, suggests in a new book that Jesus is not the only way to salvation. Traditional evangelicals fiercely object to his ideas. But McLaren is tapping into a generational divide between young evangelicals and their parents. Brian McLaren is considered one of the country's most influential evangelicals, and his new book , A New Kind of Christianity, takes aim at some core doctrinal beliefs. March 29 marks the beginning of the holiest week for Christians — when believers reflect on the crucifixion and resurrection of Jesus. This year, there's something of a dust-up among evangelicals over core beliefs about who Jesus was and whether he is the only way to salvation. Who is Brian McLaren, and what has he done to make these people so angry? 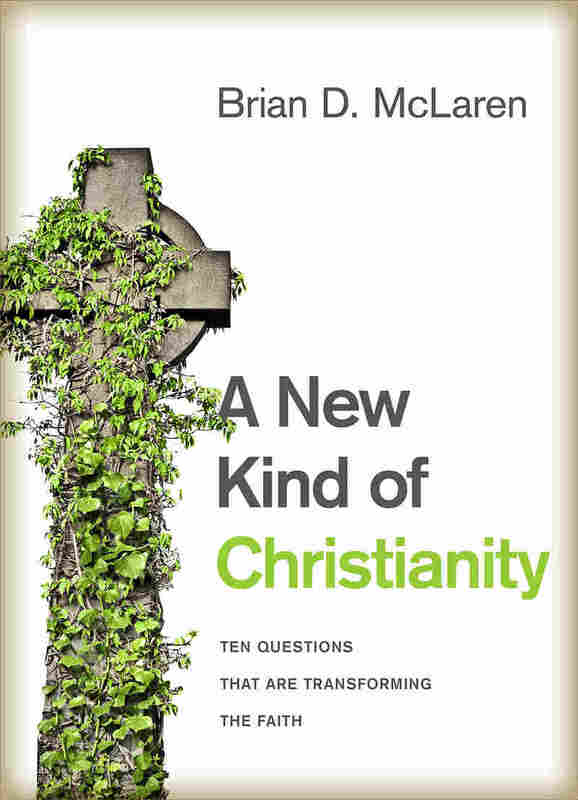 It turns out that McLaren is considered one of the country's most influential evangelicals, and his new book, A New Kind of Christianity, takes aim at some core doctrinal beliefs. McLaren is rethinking Jesus' mission on Earth, and even the purpose of the crucifixion. Others, such as Al Mohler, president of the Southern Baptist Theological Seminary, say McLaren's view of Jesus and the crucifixion is like a shot to the heart of Christian beliefs. Mohler says McLaren and others like him are trying to rewrite the Christian story. And what alarms Mohler is that young believers are attracted to this message. That's absolutely right, says McLaren. Consider the core evangelical belief that only Christians are going to heaven and everyone else is doomed. That may have rung true for his grandparents' generation, he says, but not now. "A young evangelical, Roman Catholic [or] mainline Protestant growing up in America today, if he goes to college, his roommate might be Hindu," he says. "His roommate might be Muslim. His roommate might be Buddhist or atheist. So, suddenly the 'other' is sleeping across the room." 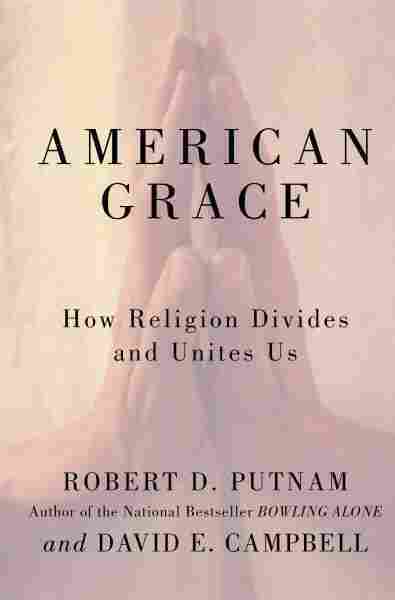 An Appetite For A New Evangelical Christianity? Mohler is determined to nip any such trend in the bud. But if McLaren and surveys of young people are any guide, there seems to be an appetite for a different sort of evangelical Christianity. The only reason Jesus came was to save people from hell. . . . Jesus had no social agenda. . . . [He didn't come to eliminate poverty or slavery or] . . . fix something in somebody's life for the little moment they live on this earth. Now what could possibly cause this earnest and educated Christian to assert that Jesus had no agenda regarding poverty and slavery? What could motivate a dedicated Bible teacher to minimize horrible social realities as minor inconveniences or pet peeves—"something in somebody's life for the little moment they live on this earth"? How could a pious and devoted believer ignore all of Jesus's words about the poor, all his deeds for the poor and oppressed, beginning with his first public sermon, in which he quoted Isaiah 61? Word-made-flesh revelation of God's character. In contrast, our quest allows us—and requires us—to put these precritical presuppositions aside and approach Jesus differently. Our quest invites us to understand Jesus in terms of the three- dimensional biblical narrative we introduced earlier—to see him in terms of the Genesis story of creation and reconciliation, the Exodus story of liberation and formation, and the Isaiah story of new creation and the peace-making kingdom. We could choose any of the four gospels to illustrate this alternative view, but let's choose the least likely of the four, John. With those first words—"in the beginning"—John clearly evokes the Genesis story. The story of Jesus is identified with the creative Word, the "Let there be" by which all things are created. He is associated with light, the first thing that God "lets there be." He is associated with life, the life that God breathes into the clay of humanity. The Psalmists tell us that all creation— the heavens and earth and all they contain—reflects the glory of God, and similarly John tells us, "We have seen [Jesus's] glory, the glory as of a father's only son" (1:14). Later, we see Jesus creating wine from water, a creative act with clear echoes of the Genesis story. In fact, just as Genesis begins with the Holy Spirit "sweeping over" or "hovering over" the waters, throughout John we have interwoven references to the Spirit and to water, most obviously when Jesus walks on (hovers over) the water, when he tells the woman at the well or the crowd in Jerusalem about the living waters that he will give them, and when he tells Nicodemus he must be born of water and the Spirit (6:16–21; 4:10; 7:37–38; 3:5). Consider the imagery: the first day of a new week, the coming of light into darkness and life into a void. The language evokes a new day, a new beginning, so the tomb becomes the womb giving birth to a new creation. Not only that, but just as the book of Genesis ends with reconciliation as Joseph and his brothers are brought together, and just as it concludes with God's good intent overcoming evil human intent, John's gospel ends in the same way, with a reconciliation among brothers. The risen Jesus could have been angry with his disciples for betraying, abandoning, and disbelieving him, but he tells Mary, "Go to my brothers and say to them, 'I am ascending to my Father and your Father, to my God and your God' " (20:17). Soon we see doubting Thomas being restored to his brothers and denying Peter being restored to his brothers. The gospel fittingly ends not during a scenic sunset, but just after daybreak, around a breakfast-cooking fire, the beginning, as it were, of the first day of a new world, a second Genesis. In this light, Jesus's offers of "life of the ages" and "life abundant" sparkle with new significance. When Jesus promises "life of the ages" (a far better translation of the Greek zoein aionian, I believe, than "eternal life," the meaning of which is poorly framed in many minds by the sixline narrative), he is not promising "life after death" or "life in eternal heaven instead of eternal hell." (John, it should be noted, never mentions hell, a highly significant fact.) Instead, Jesus is promising a life that transcends "life in the present age," an age that is soon going to end in tumult. Being "born of God" (1:13) and "born again" or "born from above" (3:3) would in this light mean being born into this new creation. So again, Jesus is offering a life in the new Genesis, the new creation that is "of the ages"—meaning it's part of God's original creation—not simply part of the current regimes, plots, kingdoms, and economies created by humans in "the present evil age" (a term Paul uses in Gal. 1:4). No wonder the risen Christ's fi rst appearance is in a garden, and he is imagined to be a gardener (19:41–42; 20:15), just as Jesus has portrayed the Father as a gardener (15:1)—John wants us to see in Jesus a rebirth of the original garden. Just as Moses was initially rejected by his brothers (Exod. 2:14), so Jesus was initially rejected. Just as Moses led the way in liberation from Egyptian oppression, Jesus leads the way in liberation from the social and spiritual oppression of his day. Just as Moses gave the Law, Jesus gives it even more so—as we shall explore in more detail shortly. In fact, although much attention has been given to the ways in which "the Word" or "Logos" of John 1 evokes Greek thought, we should also note that for Greek-speaking Jews "Logos" evoked Law. The Law was understood not simply as a list of rules or requirements, but as a kind of inherent logic or wisdom that is woven into all of creation—a way, a truth, a life, another resonance with John's gospel (14:6). John the Baptizer introduces Jesus as the "Lamb of God who takes away the sin of the world" (1:29). Here John the Baptizer evokes not (or not only) the sacrificial lambs of Leviticus, but (or but also) the lamb that was slain at the Passover to protect the people from the tenth plague, the plague that finally convinced the Egyptians to liberate the Hebrew slaves. And the term "Christ" or "Messiah" literally means "anointed one," suggesting a king or leader chosen by God to—like Moses—liberate the people from oppression. Jesus evokes Moses directly in his conversation with Nicodemus, saying that the Son of Man (a complex term drawn from Dan. 7:13–14, which I believe suggests a new generation or genesis of humanity) will be lifted up as Moses lifted up a bronze serpent in the wilderness (Num. 21:9). Jesus's provision of bread and fish (6:1–14; 21:4–13) similarly evokes Moses's provision of manna and quail, suggesting that Jesus is leading the people on a new Exodus journey. Even his walking on water (6:16–21) evokes the crossing of the Red Sea. Along with many other direct references to Moses and the Law (7:16–24; 8:4–7) and indirect references to being liberated from slavery (8:31–38) and leading the flock of God through the wilderness (10:1–18), we find Jesus giving a new command, one word (or logos) that in a sense will transcend and include the ten words (or Decalogue) given by Moses: "I give you a new commandment, that you love one another. Just as I have loved you, you also should love one another" (13:34). people Moses had led out of Egypt and through the wilderness. Just as they followed Moses, they should now follow Joshua, Moses said; now Jesus says his disciples should follow the Spirit just as they followed him. Interestingly, John ends his gospel with the command Mark uses to begin his gospel: "Follow me" (John 21:19; Mark 1:17). It is as if Jesus is saying, "Okay, you've now been liberated from Egypt. My death and resurrection are like crossing the Red Sea. But our journey has only just begun. Keep following now, through the wilderness and into the promised land. Just as fire and cloud guided your ancestors, my Spirit will guide you now." The promised land, of course, suggests the third dimension of the biblical narrative: the peace-making kingdom celebrated by all the prophets, especially Isaiah. As we considered earlier, the narrative begins with the longing for a literal homeland—first, for Abraham, a home outside the Sumerian Empire, and later, under Moses, a place of freedom outside the Egyptian Empire, and later still, for the exiles, a return to their homeland, liberated from the Babylonian/Medo-Persian Empire. Gradually, the idea of a promised land morphs from a geographic reality into a social one; "a land flowing with milk and honey" becomes a society in which justice flows like water. This new society or kingdom is also described as a new era—a new time of shalom, harmony, social equity, prosperity, and safety. Key to this golden time is light (Isa. 2:5; 42:6–7; 49:6; 60:1–3), and along with light the healing of blindness (35:5–6; 42:16) and other maladies. So it's no surprise that John's gospel begins by telling us that Jesus is the light of the world that shines for all people in darkness (1:3; 3:19; 12:33–41), and that central to John's gospel is the healing of a blind man, with a lengthy reflection on the deeper meaning of this miracle (9:1–41, echoed in 12:37–43, where Isaiah is directly referenced). all nations shall stream to it. Obviously, the prophet isn't predicting a literal tectonic shift in which Jerusalem rises farther above sea level and Mt. Everest sinks, but rather a time when God's wisdom draws nations up to a higher level of relating, so disputes are settled nonviolently, wisely, peacefully. (John may be echoing this global attraction in 3:14; 8:28; and 12:19, 22.) We find in Isaiah another set of geographical images associated with springs transforming the desert into a garden (32:1–2; 35:6–7; 44:3). John picks up this water image in the conversation between Jesus and the unnamed woman at the well (4:1–42), where a dispute about mountains and a conversation about water give way to a deeper insight: that God is seeking worshipers who come not to the correct mountain, but with the correct spirit. Similarly, the thirst for physical water (Isa. 55) points to the present availability of living water (echoed in John 7:37–39). Strikingly, Jesus says to the unnamed woman, "The hour is coming, and is now here" (4:23), echoing Jesus's words elsewhere (Luke 4:21; Mark 1:14) that the long awaited time of the peaceable kingdom has indeed arrived. Just as Isaiah's poetry is filled with images of war giving way to peace, Jesus makes clear to Pilate that in the kingdom Jesus represents disputes aren't solved with swords (18:36). Both Isaiah (1:11–17; 55; 58) and John's Jesus critique the religious establishment (implied in Jesus's use of ceremonial water jars for producing wine in 2:6, in the clearing of the temple in 2:13–22, in the interchange with Nicodemus in 3:1–10, in the marginalization of Jerusalem in 4:21, in his healing on the Sabbath in 5:1–8, and in his subversion of a stoning in 8:2–11). And both Isaiah and John work with the rich imagery of a vineyard (Isa. 5:1–7; John 15) and emphasize the role of the Spirit of the Lord (Isa. 11:1–5; 42:1; 61:1; John 14–16). John picks up Isaiah's theme of joy as well (Isa. 26; 35; 51; 55; 60; John 15:11; 16:22), along with Isaiah's use of wine imagery (Isa. 25; 55:1; John 2). In Isaiah we see the precursors of Jesus's powerful shepherd imagery (Isa. 40:11; John 10:1–18; 21:15–17) and childbirth imagery (Isa. 54; John 16:19), and even the precedent for calling God our Father (Isa. 63:16; 64:8). For Isaiah, the same "day of the Lord" (5:22–30; 9:39; 22:31) that will bring liberation for the oppressed will mean accountability for the oppressors (5:8–23; 10:1–4), a theme that John picks up again and again (5:22–30; 9:39; 12:31). And we can't forget Isaiah's striking theme of the Servant of the Lord (Isa. 42; 49; 50; 52), which John employs poignantly as Jesus literally costumes himself in the role of a servant (John 13). Just as Isaiah's Servant of the Lord liberates and heals through suffering (52:13–53:12), so John's Jesus goes through mockery and torture to the cross. And just as Isaiah predicts beauty beyond ashes, joy beyond mourning (Isa. 61) and new heavens and a new earth beyond the suffering and stress that must first be faced (65:17), John presents us with a Jesus who raises the dead (11:38–44) and ultimately is raised from the dead himself (20:18), evidence of a new creation arising from the old (Isa. 66:22). All of Isaiah's powerful images are interwoven with the dream of a peaceable kingdom, one that fulfills the unfulfilled promise of David's kingdom (9:7; 16:5; 22:22; 55:3; 11:1; 11:10). Of course, Isaiah is only one of many prophets who fund our imaginations with the peaceable kingdom dream, and John similarly draws from other prophets too (for example, note how strikingly John 12:13–15 echoes Zech. 9:9). But even these few examples, selected from so many more, make it clear that Jesus, contrary to my dear loyal critic's assertion, did not come merely to "save souls from hell." No, he came to launch a new Genesis, to lead a new Exodus, and to announce, embody, and inaugurate a new kingdom as the Prince of Peace (Isa. 9:6). Seen in this light, Jesus and his message have everything to do with poverty, slavery, and a "social agenda." When we try to read John as well as the other gospels within the flat, six- line Greco- Roman narrative, the sandal just doesn't fit. But when we see Jesus in the three- dimensional Jewish narrative, we discover a gift from the Jews to the whole world— good news (that pregnant term being another powerful resonance with Isa. 40:9; 52:7; 61:1) of a new Genesis, a new Exodus, and a new kingdom come. So many people are like my loyal critic; they have so utterly bought into the six- line, black- and- white, soul- sorting heaven- or- hell Greco- Roman narrative that it has become the precritical lens through which they see everything, causing them to see some things that aren't there and rendering invisible many things that are. If they could only take off that set of glasses long enough to see Jesus in full color, in three dimensions, everything would look different. If only. Thankfully, more and more people are realizing that there's a renaissance under way regarding our understanding of Jesus. More and more of us are discovering Jesus as Word and Lord colored outside the conventional six lines. This Jesus, we discover, is far more wonderful, attractive, compelling, inspiring, and unbelievably believable than Jesus shrunk and trimmed to fit within them. From A New Kind of Christianity by Brian D. McLaren. Copyright 2010 by Brian D. McLaren. Reprinted by permission of HarperOne. All rights reserved.